A traditional event in Bern arrives in the city with the onion as a protagonist in countless versions. Bernese gastronomic specialties with typical music. The onion market, "Zibelemärit", is a traditional Bernese folk festival that takes place every year on the fourth Monday in November in the old town of the Swiss capital. 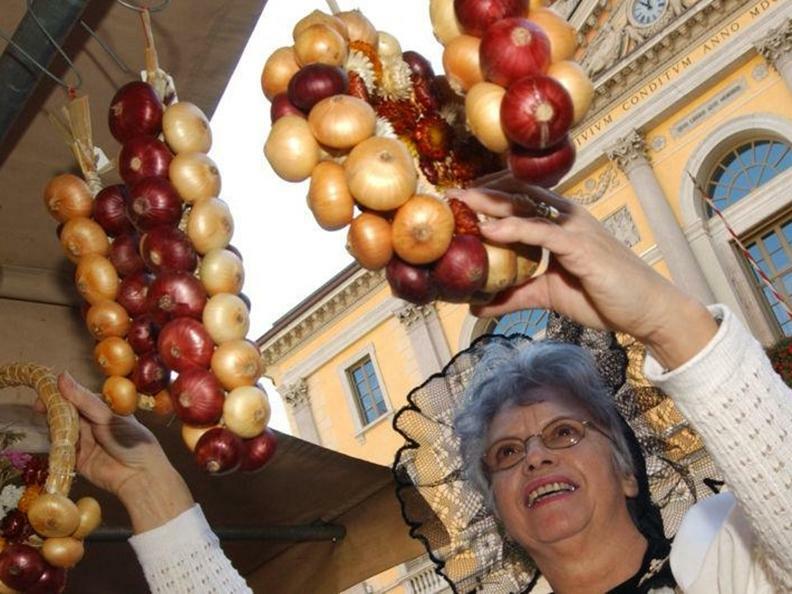 The farmers of the Bern region carry over 50 tons of onions and garlic to the capital in the form of artistic braids. For some years now the City of Lugano has hosted this colorful event with its characteristic aromas and typical music. Traditional stalls offer ceramic crockery, spice pan, vegetables and souvenirs. You can not miss the tasty pies of onions or cheese and the mulled wine.